Cassandra Webb is a mum to three fantastic children, Aurora, Ryder and Jazmyn. They live on the south coast of Australia in Yuin country - a place that has beaches, islands and the horizon on one side and mountains that touch the sky on the other side. 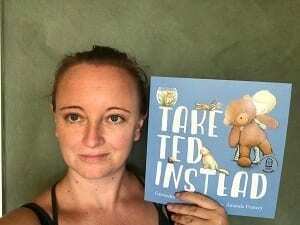 Cassandra has loved words since she was a child herself and loves bringing words to life for children all over the world. 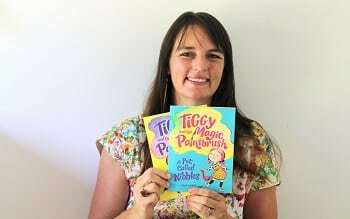 Her books for children include Adorable Alice, The Bigger Digger and her latest, Take Ted Instead, which was recognised as a Notable Book in the Australian Children's Book of the Year awards. 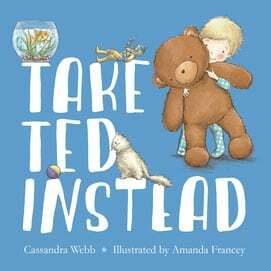 Cassandra has generously donated a new story to Library For All, which will be illustrated and released for the world to read later this year. We spoke to Cassandra about what inspires her as a writer, and asked what advice she would give to emerging creators. A: I was a mum. I now have three children, but when I sat down to write my first picture book I had two and somehow all the years of shared experiences, of looking at the world through their eyes and of watching them grow, all wove its way into my words. A: The reactions from readers is by far the best thing about being an author. Watching a child giggle at a certain page or hearing them read along with me gives me an amazing sense of accomplishment. A: Some of the key ingredients that I've learned and come to respect are characters that feel 'real', a plot that feels 'alive' and an ending that feels 'satisfying'. Strangely enough I think its also important as an author not to 'say' too much. 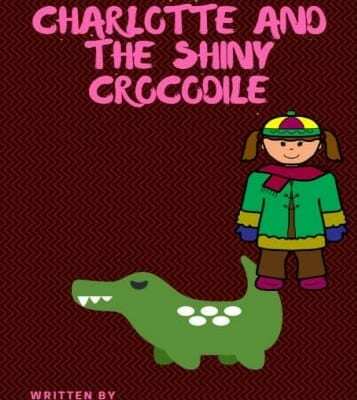 Let the illustrator say some of the story in their illustrations and let the kids piece together some of it too. This can be hard in the first draft, but once the story is written down going back through it and playing with removing this sentence or that can be lots of fun. A: Get the things that are stored in your mind down on a page. Play with the words, play with the pictures, play with the characters and the plot, but do it on a page. If you leave it in your mind it might never see the light of day - and no one will ever read your amazing ideas. So, even if you don't think you have a story idea start writing, or creating, and see where it takes you. My local community has an event called 'Literary Salon' where writers and artists are matched up at random, we swap ideas and create something new and unique. My partner is Jennifer Hawkins and together we're exploring the world through the eyes of a sea lion for display at an exhibition - and perhaps even development into a picture book. Sea lion populations have been declining dramatically since the days they were hunted on our Australian shores, and wildlife conservation is close to both our hearts. 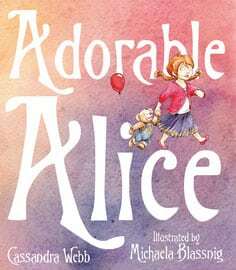 Looking for some great examples of kids' books to inspire your writing? 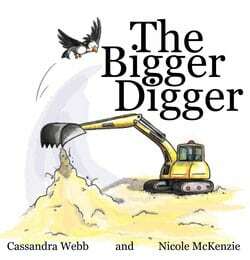 Visit Cassandra Webb's website, or look for these titles in stores or at your local library.